This delegation is hosted by World Partnerships, Inc. (www.worldpartnerships.org), since 2000 the official Tampa Bay regional partner of the US Department of State “International Visitor Leadership Program” (IVLP). The IVLP is America’s oldest and most important professional exchange initiative. One-fourth of the United Nations member states have an IVLP alumnus as head of state or government. 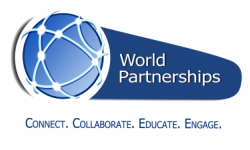 World Partnerships is a private, not-for-profit organization with a worldwide mission for educational, cultural, commercial and professional exchange with global leaders. In order to respect the security and privacy of individual visitors, the US Department of State has asked that publication of photographs, videos, or live streaming of IVLP delegations and/or individual IVLP delegates be allowed if and only if individual delegates have agreed to be photographed in a signed, written release with the State Department. World Partnerships should be consulted prior to any publication of photographs, videos or live streaming of IVLP delegates. Please contact Mary Ellen Upton, Executive Director, at meupton@worldpartnerships.org with any questions.